Just for everyone's enlightenment, the ATCpro flight traffic was created using FlightAware. If you have a custom database that is more entertaining/challenging, the please post it. 2. Open the Excel spreadsheet I made and go to the schedule tab. Right click on the schedule tab in the bottom and press "Move or copy sheet", then chose New Workbook in "To Workbook" and mark "Create a copy". 3. Now remove the first 2 lines in the new sheet and save the new document as a csv file with the name "Schedule"
4. Now open the custom.db in "DB Browser for SQLite" and chose the "Browse data" tab, go to file, "import and table from csv file", and import the schedule.csv you just created. Remember that import will ADD data to existing data, so either clean the the custom.db dirst or the lines will be added. I've created a custom database for KTYS with the help of Henrik's Excel sheet. 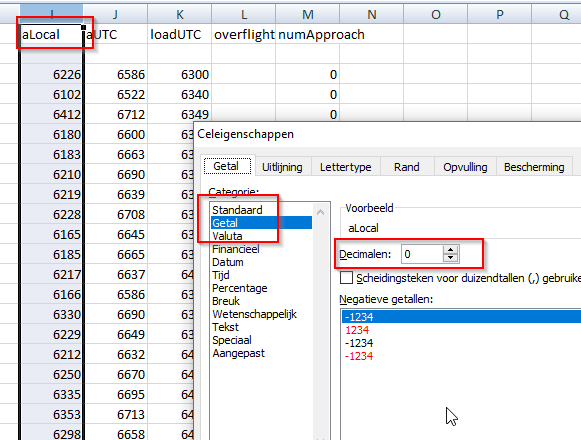 dLocal, dUTC, aLocal, aUTC, loadUTC as a number with no decimals, otherwise the import function will not work leading to empty cells and creating an error message in ATCPro. I'm working on updating the KTYS genav.db file. In the genav file, what is the "fltnum" column? I see values from 0 to -4.